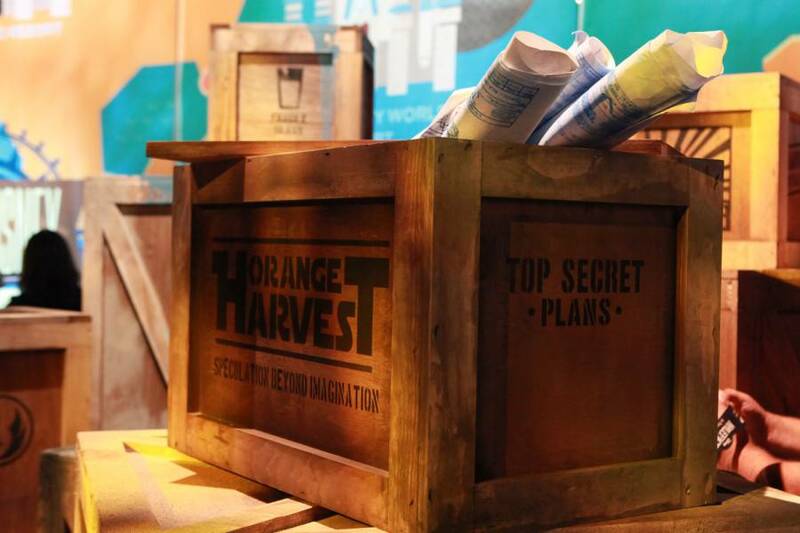 At the heart of each and every D23 Expo is Walt Disney Imagineering and every time, they deliver the most impressive display. 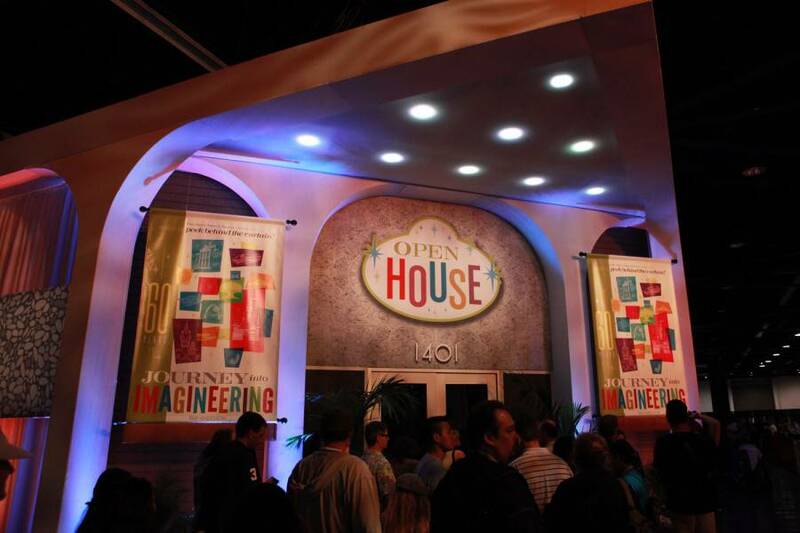 This year, the folks at Imagineering themed their pavilion to their very own offices at 1401 Flower Street, holding an Open House for all guests of the D23 Expo. 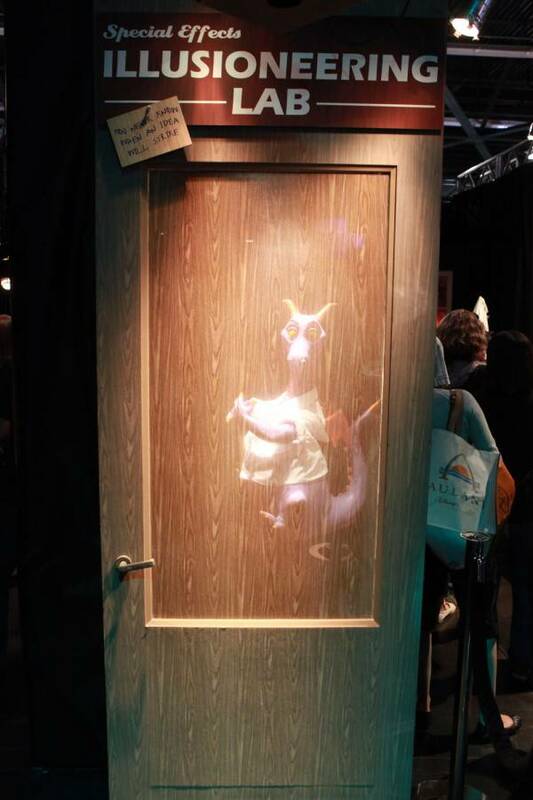 The Journey into Imagineering pavilion celebrates 60 years of Imagineering, where guests can see the “dream factory” and all of the tricks of the trade while meeting with real Imagineers and about their craft. 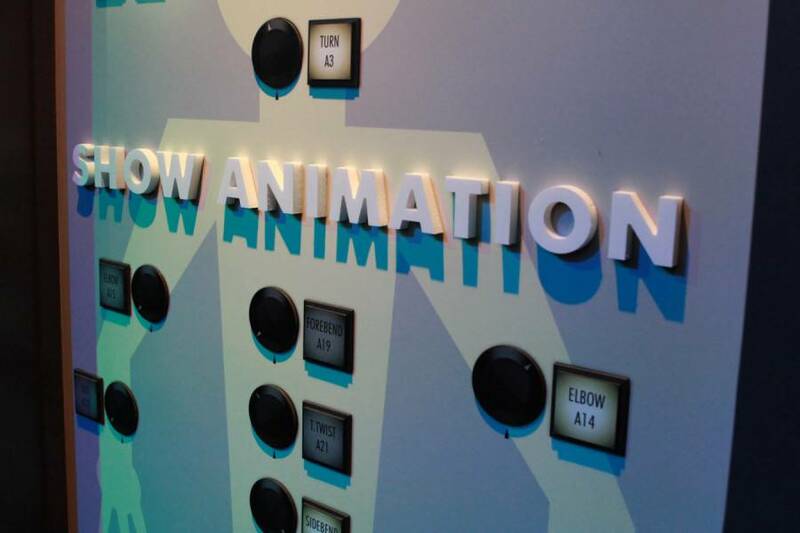 The pavilion had several sections or workspaces to visit and learn, including Show Animation (animatronics) and a Special Effects Illusioneering Lab. 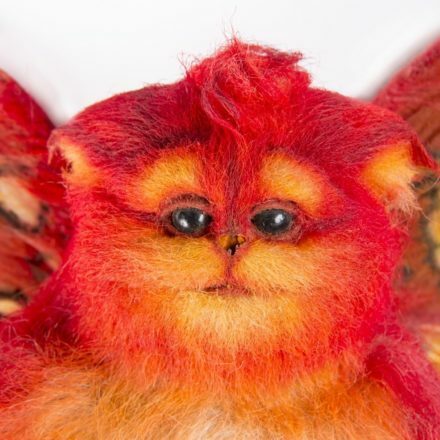 Journey into Imagineering had more of a focus on history this year rather than future, although there were a few nods and hints at what was to come (Avatar and Star Wars). 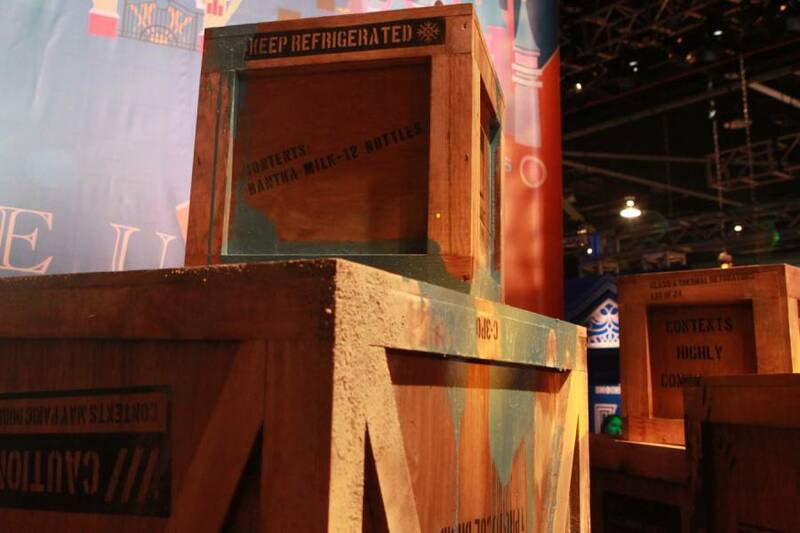 Hard to miss at the Imagineering pavilion was the mountain of crates, each with different contents within, including an escaped R2-D2 posing for photographs. 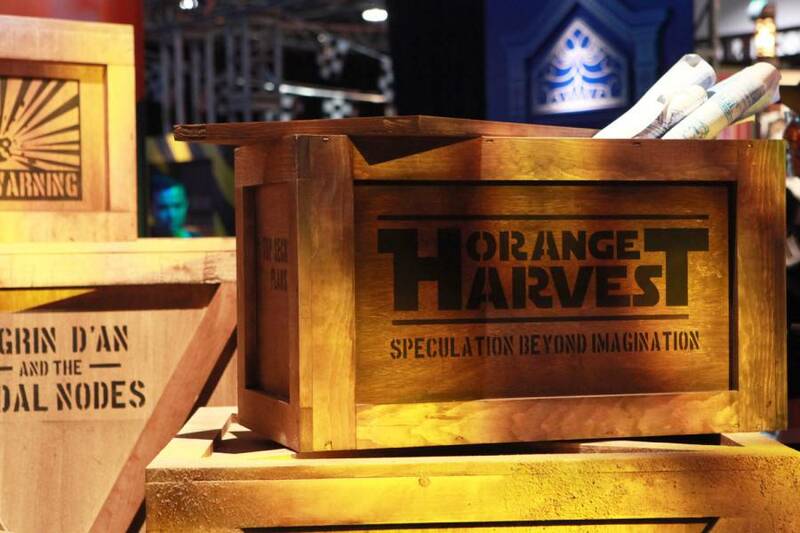 You might be wondering what all of this means and while no Imagineer is willing to elaborate, the rumors have it that much of Tomorrowland at Disneyland and an area within Disney’s Hollywood Studios would find a more permanent residence for Star Wars in the theme park. 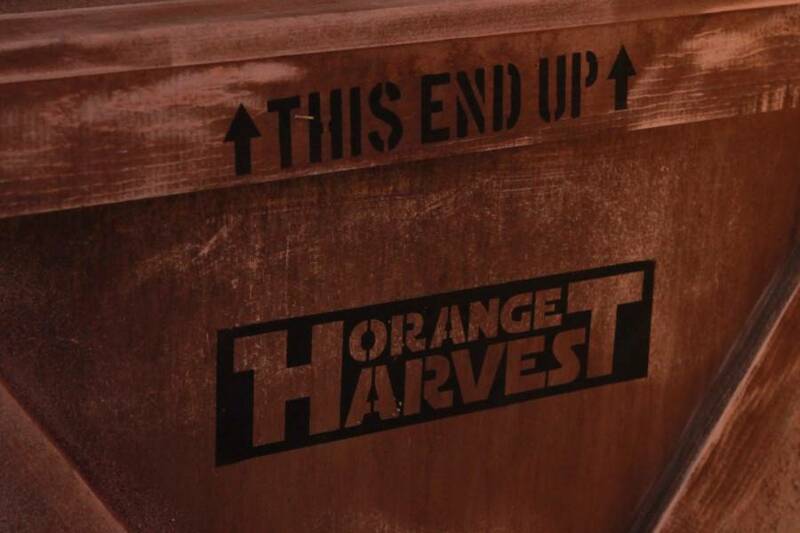 Orange Harvest itself is a nod to “Blue Harvest”, the fake production name for Return of the Jedi. 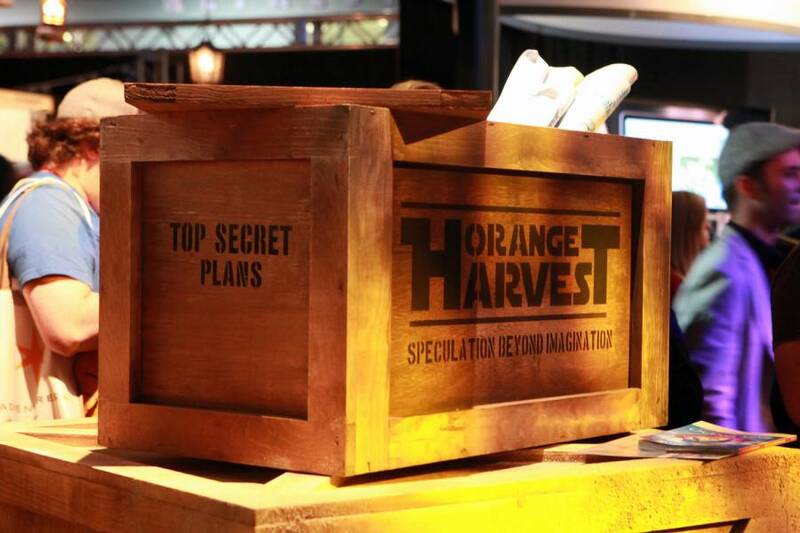 It won’t be speculation for too much longer, but it certainly is beyond imagination. 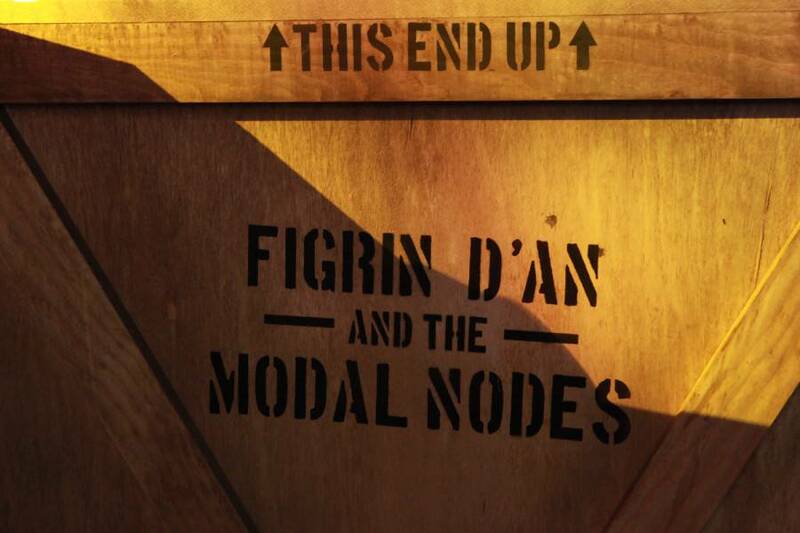 The crates themselves all have fun little descriptions that don’t necessarily reveal anything, but are just clever gags in familiar Disney fashion. 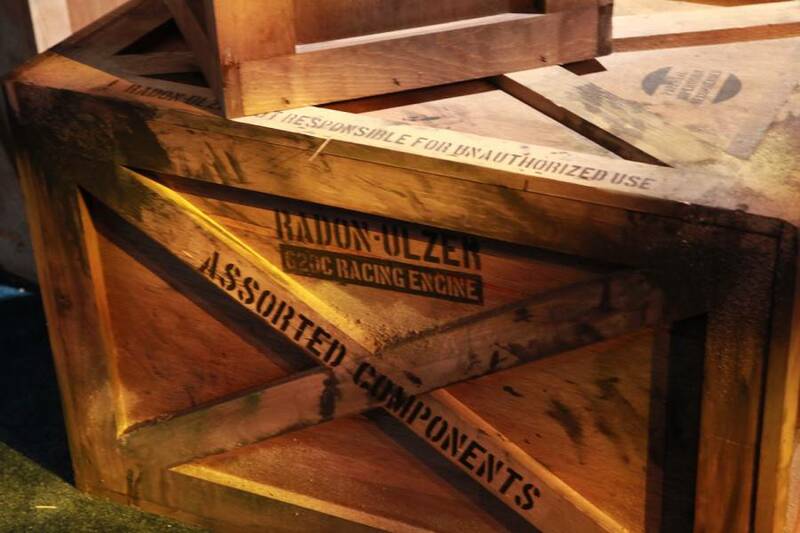 -Radon-Ulzer, 620C Racing Engine, Assorted Components: Radon-Ulzer is the manufacturer of the 620C Racing Engine, the very engine young Anakin Skywalker used for his first Podracer. 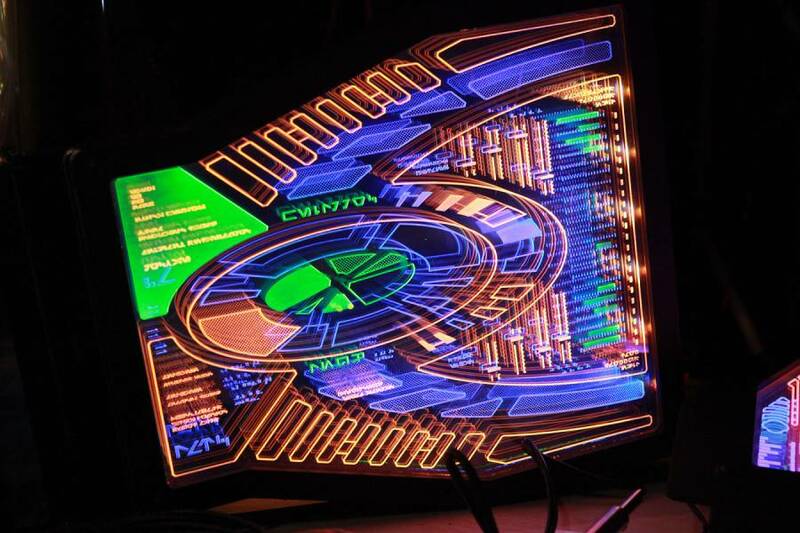 The second podracer was the Radon-Ulzer 1240C racing engine. -Lightsaber Assortment Lot of 12, 6 Blue, 5 Green, 1 Purple: Self explanatory, but the number 12 represents the number of Jedi Masters. 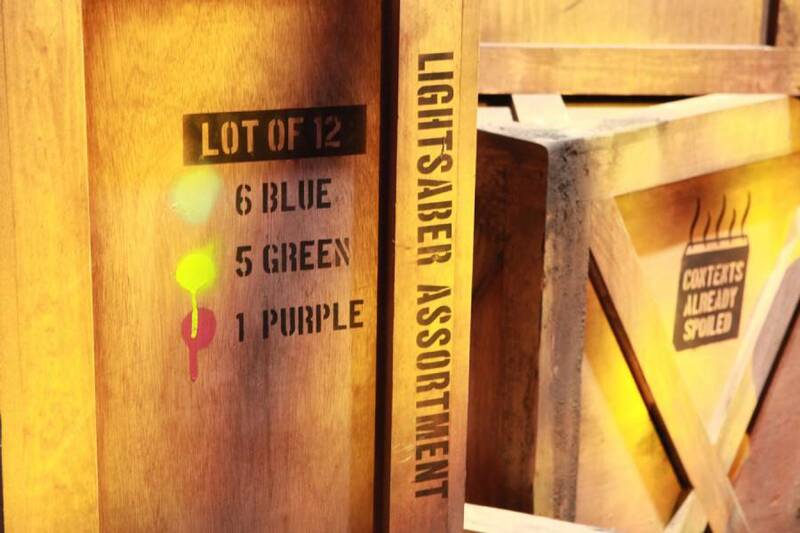 The lightsaber colors acknowledge 1 Purple for the one Mace Windu. 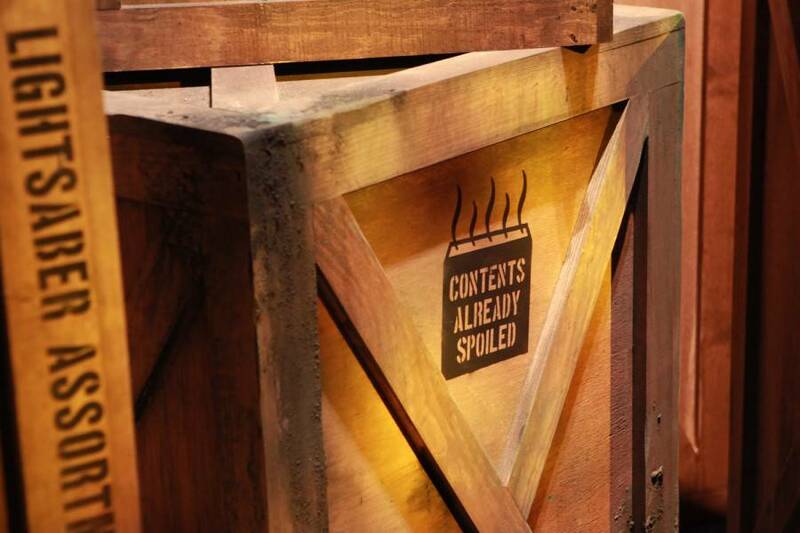 -Contents Already Spoiled: I LOL’d. 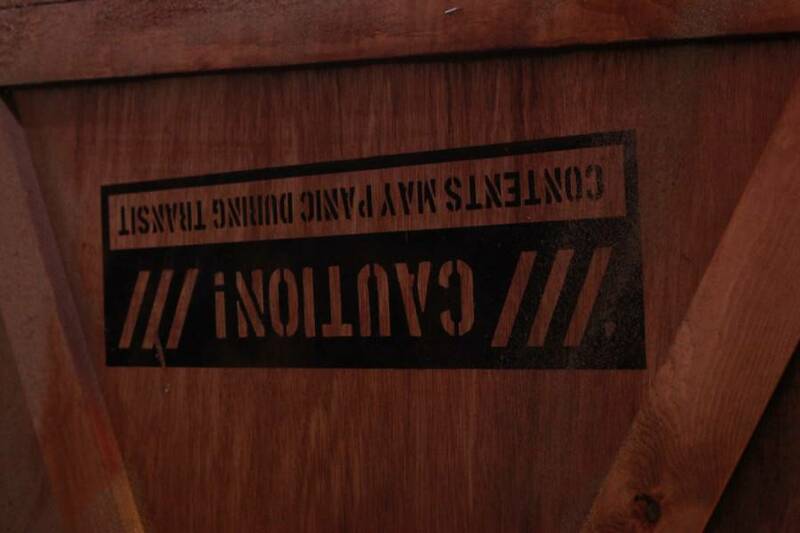 -Contents: Protocol Droid: C-3PO: Caution! 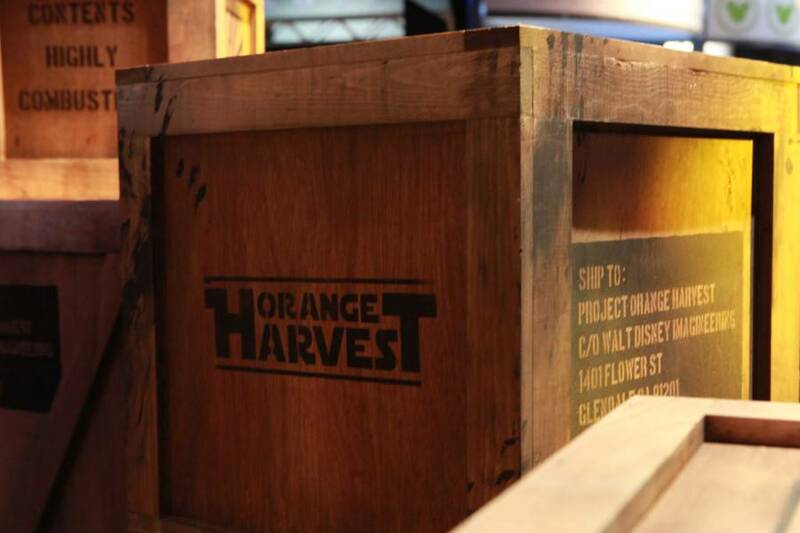 Contents may panic during transit: This crate is displayed upside down, definitely something to panic over! 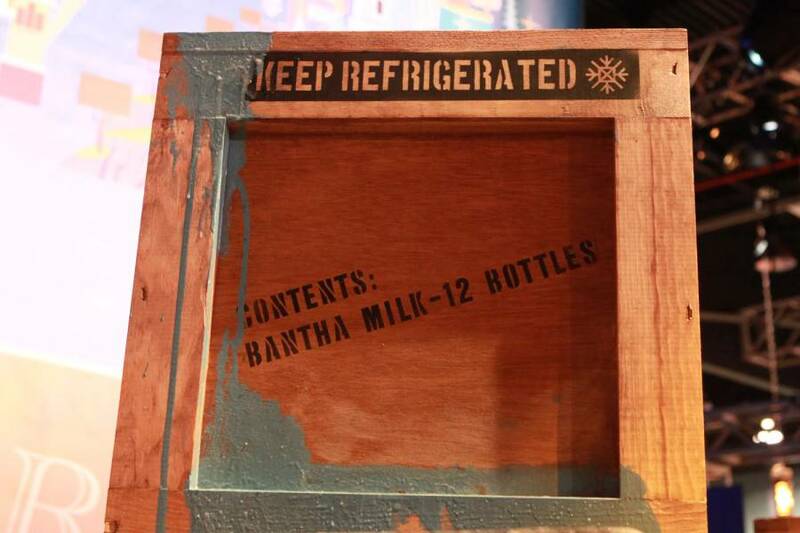 -Contents: Bantha Milk – 12 bottles — Keep Refrigerated: The famous blue milk from Star Wars A New Hope has spilled. 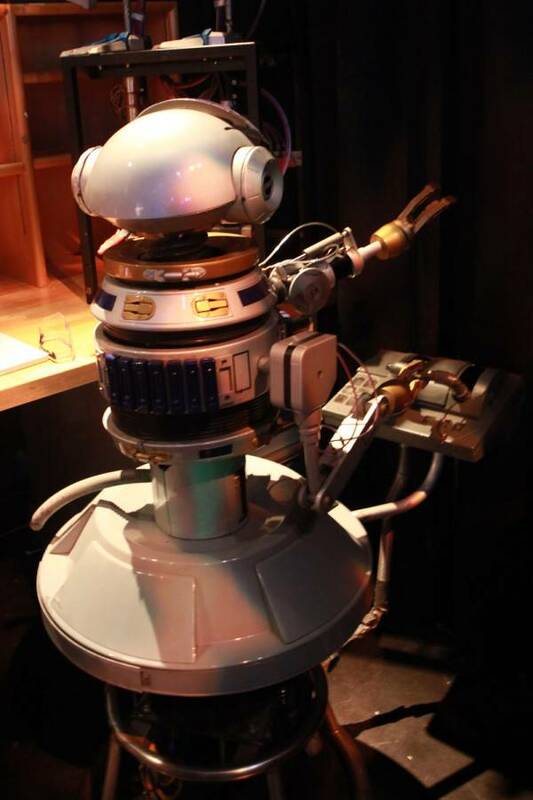 But I wouldn’t cry over spilt milk… unless you’re C-3PO underneath! 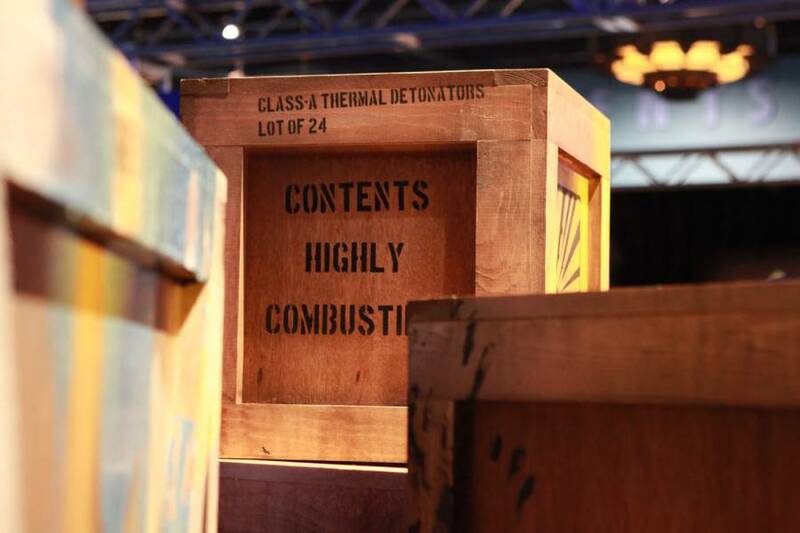 -Contents Highly Combustible — Class-A Thermal Detonators – Lot of 24: Made by the manufacturer Merr-Sonn Munitions, Inc, these are the very same used by Princess Leia in her Boushh disguise. 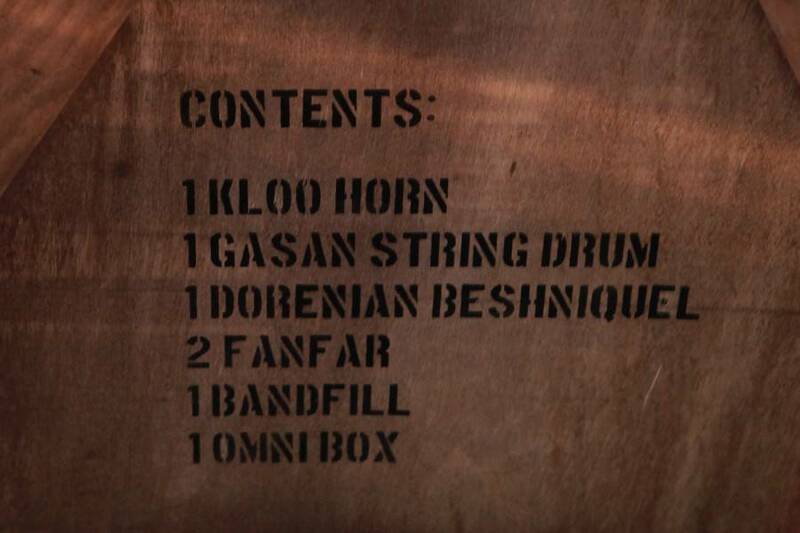 -Figrin D’an and the Modal Nodes: The Bith Band from the Mos Eisley Cantina are expecting this crate containing 1 Kloo Horn, 1 Gasan String Drum, 1 Dorenian Beshniquel, 2 Fanfar, 1 Bandfill, and 1 Omnibox. 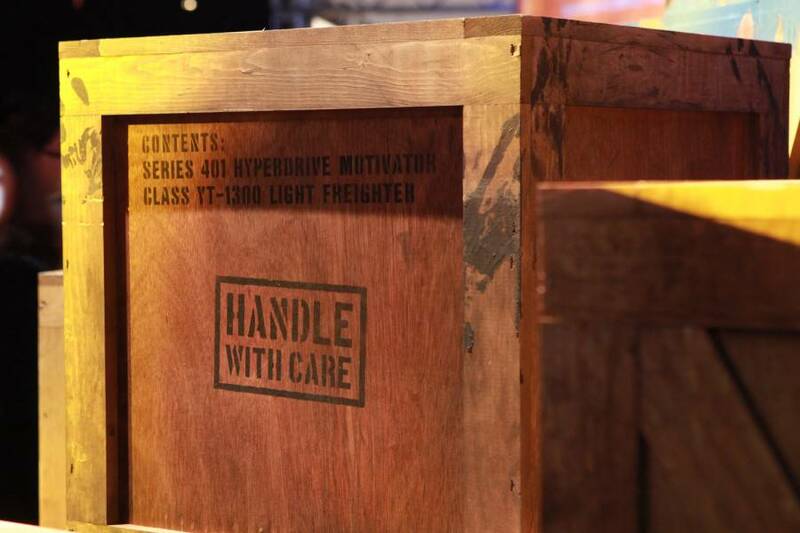 -Contents: Series 401 Hyperdrive Motivator Class YT-1300 Freighter: Sound familiar? This is the very kind of hyperdrive motivator needed for a certain Corellian Freighter… just like the Millennium Falcon. 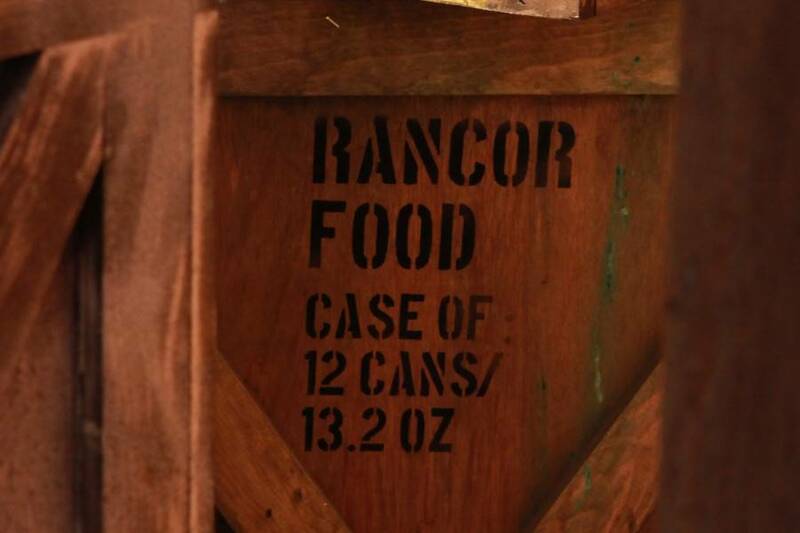 -Rancor Food – Case of 12 Cans/13.2 oz: Ya got me here, I thought Rancor eats anything dropped down Jabba’s trap door? 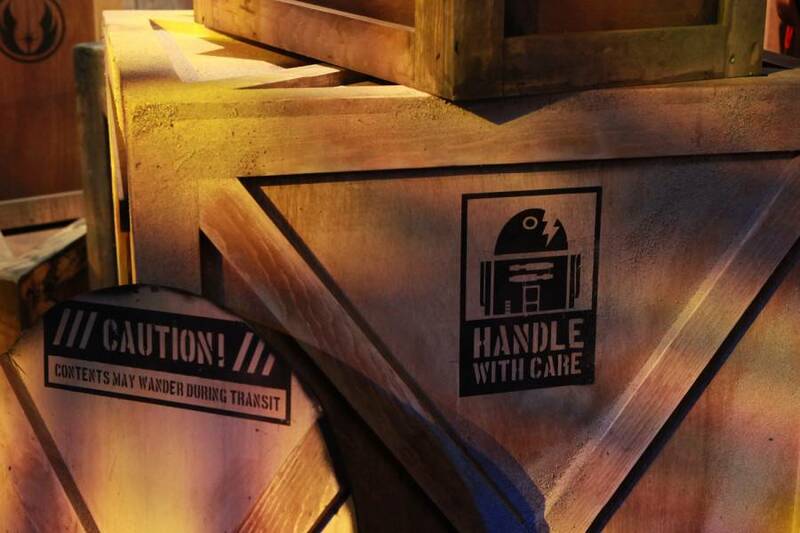 -Contents: Astromech Droid – Caution! 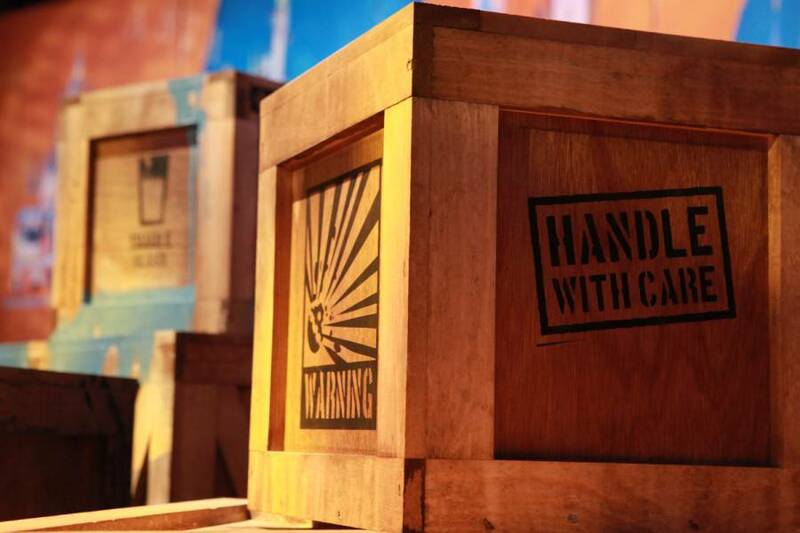 Contents may wander during transit — Handle with care! 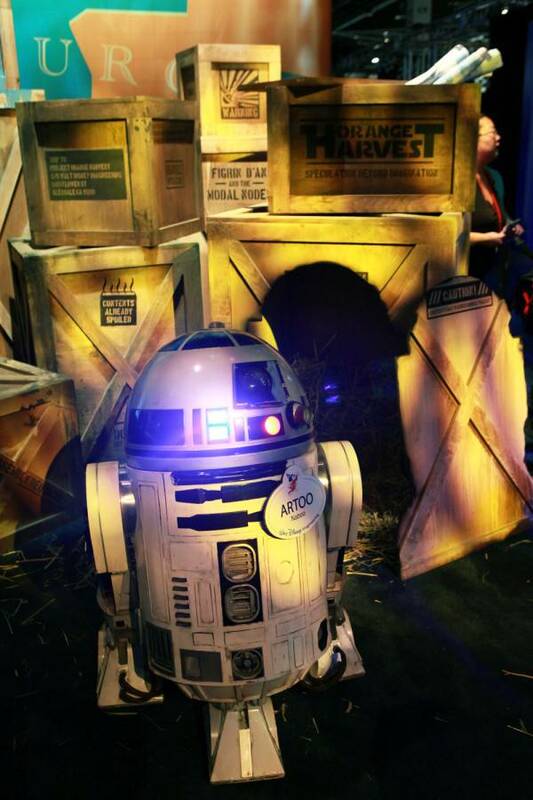 : R2-D2, the astromech droid from Naboo has blasted out of his crate and posing for photographs. 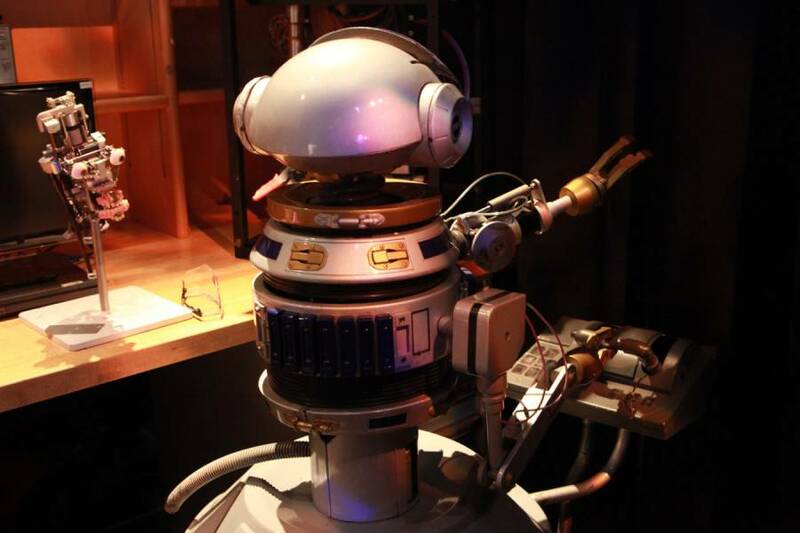 Also making appearances in the Journey into Imagination pavilion, a variation of Captain Rex and a G2 droid was found in the “Show Animation” area. 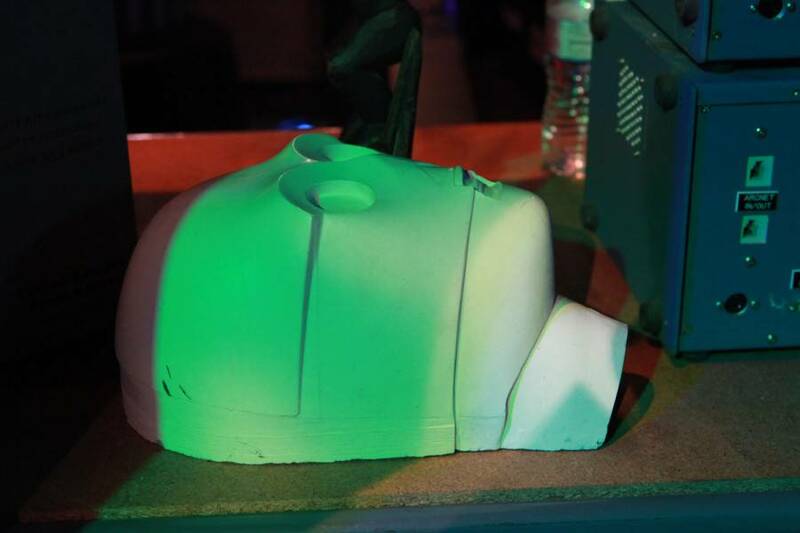 A face plate for a familiar protocol droid was also on display. 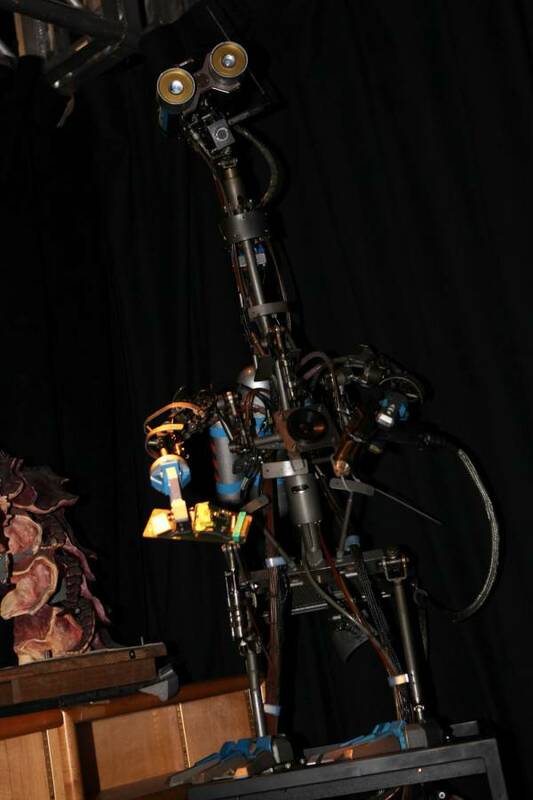 Over in the “Special Effects Illusioneering Lab”, panels from Star Tours: The Adventures Continue queue were on display. 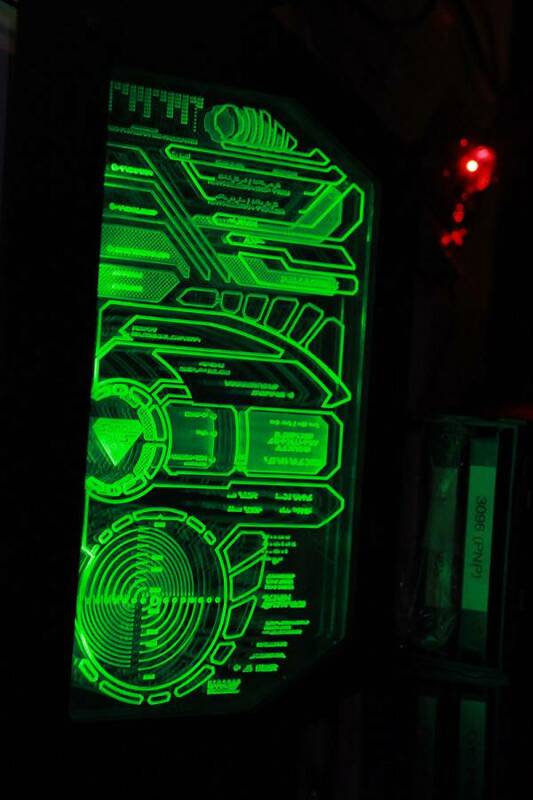 Pretty neat right? 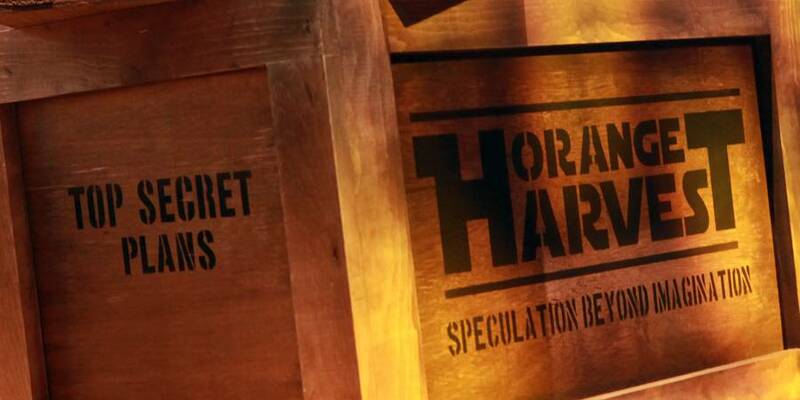 What are some of your Star Wars speculations for the Disney Parks? 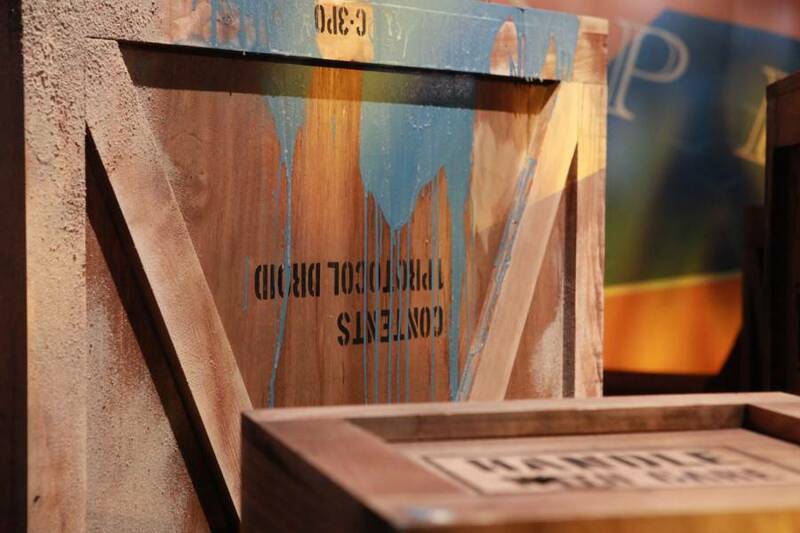 Write them down below!